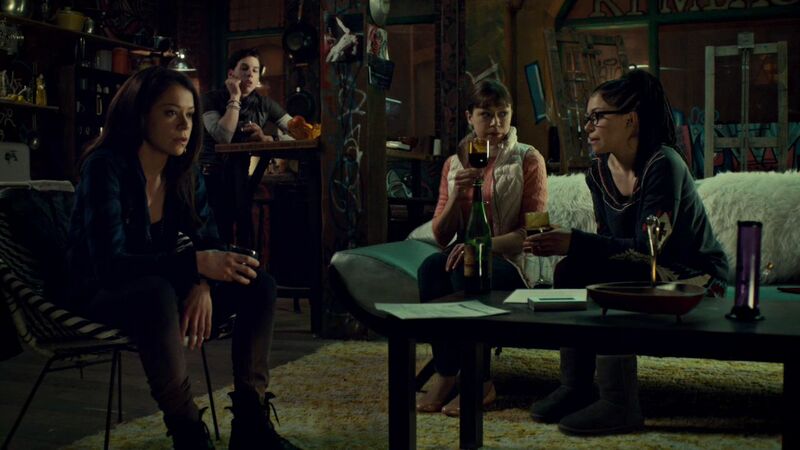 Orphan Black Season 1 nyara. . HD Wallpaper and background images in the Orphan Black club tagged: photo orphan black season 1 screencaps. This Orphan Black photo contains brasserie, chakula cha jioni meza, and meza ya chakula. There might also be bistro, chumba cha kulia, dining chumba, chumba dining, and kusoma chumba.